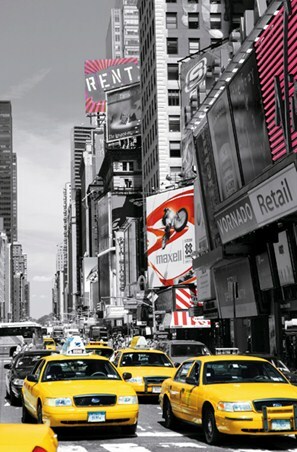 Urban Photography Mini Wall Mural: Formerly known as Longacre Square, Times Square is a major intersection in Manhattan. 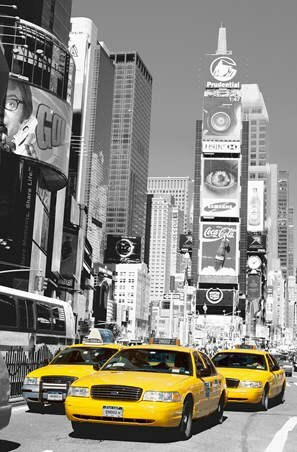 Often referred to as the 'Crossroads of the World', is it famous for its digital advertisements and bright lights. 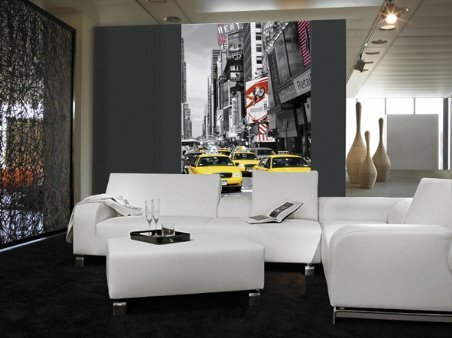 This marvellous mural features the famous street in black and white, with the image brought to life by bright yellow taxis and small highlights of pink and red colours, creating a perfect image for any wall within the home. 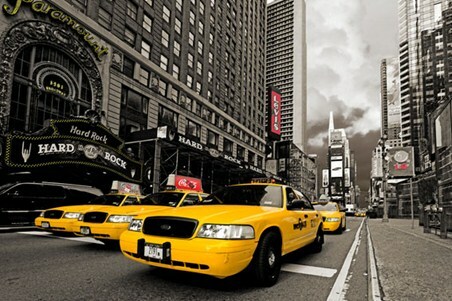 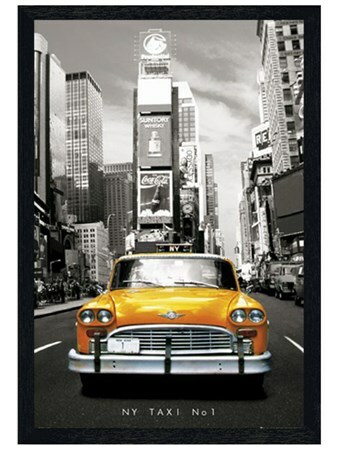 High quality, framed Yellow City Cabs, Times Square mini wall mural with a bespoke frame by our custom framing service.